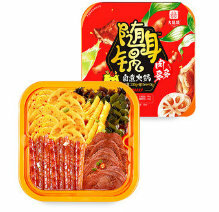 Do novel foods reflect an individualisation trend in Chinese culture? 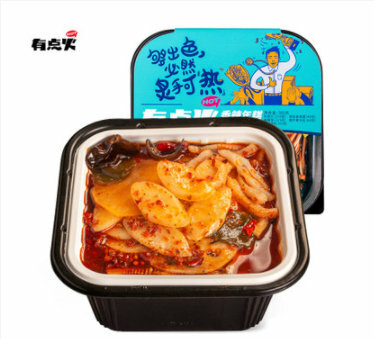 Yili Dairy, China’s top dairy brand (and second food brand in 2014), based in the capital of Inner Mongolia, Huhhot, has launched remarkable marketing campaigns for some of its popular products. Mengniu, located in the same city, has followed suit. Breakfast milk is; another member of the expanding Chinese family of formulated dairy products. 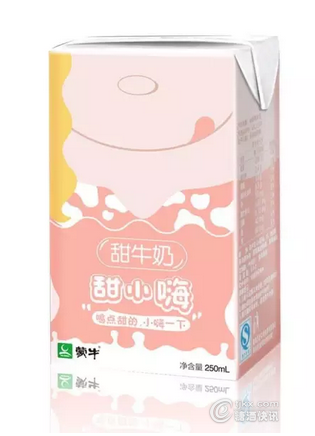 Yili has entered this market with Oat Milk. 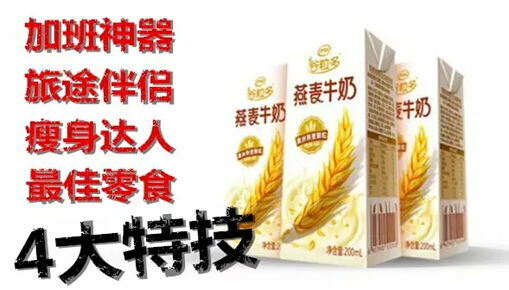 The phenomenon breakfast milk is a product of the increasing of the pace of life in China. From the beginning of the Chinese nation to very recent times, three hot meals a day were sacred in China. Gobbling down a sandwich on your way to work, a familiar sight in my home region, would abhor any Chinese. That thing with the sandwich is still rare in China, but the quick ready-made breakfast is emerging. 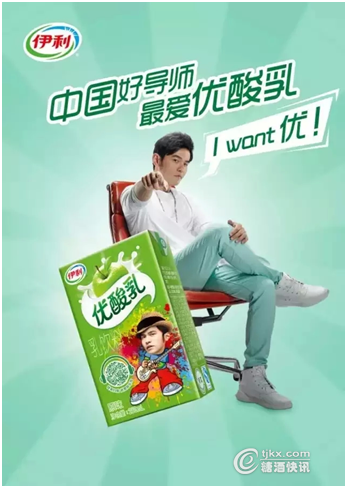 The ad for Oat Milk shows Taiwanese singer Eddy Peng drinking (well, at least one end of the straw is in his mouth and the other in a carton of Oat Milk) striking a masculine pose. The text introduces him as a nanshen ‘male god’. Although Chinese women are just as attracted to males like this as their sisters in any other part of the world, such direct sexual remarks are rather un-Chinese. And I am not talking about post 1949 China. Han Chinese are usually rather reserved about this type of emotions. The text adds that male gods are busy chasing their ideals, but impeded by the hardship of work. I have translated the Chinese word ouxiang ‘icon’ here as ideal. It alludes that Peng is the male icon of many Chinese men, but also an object of worship for most women. Overtime has entered China already a while ago. China is one of the few nations the constitution of which includes the right to rest for all citizens. However, overtime now seems to be more normal than in many Western countries. 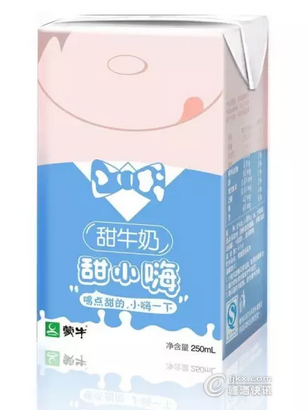 What Yili seems to be suggesting is that its Oat Milk can be used to replace the meal that a proper employer would provide to staff members who agree to overtime. A carton of milk with chunks of oat floating in it, that you can consume while continuing to work, would until recently never be accepted. Now, the marketers of Yili seem to believe that this suggestion will no longer elicit protests. The Chinese term lütu banlü has been coined after kafei banlü Coffee Mate. However, the latter is a powder that is much easier (and again quicker) to use than liquid coffee creamer. Oat Milk is a liquid that you are advised through this ad to carry with you while travelling. A quick bite/sip on the road. Once more, this suggested use is a replacement of the meal that Chinese travellers would usually not be willing to skip. Chinese travellers board a train heavily packed, not with clothes, but food and drinks to consume while chatting with their companions and enjoying the landscape. Both functions seem to indicate that the pace of life is accelerating in China. One of the cultural rituals affect most strongly by this development is that of eating three warm meals a day. The oat fibre in Oat Milk is said to help keeping your waist slim. That by itself would not be much more than an empty promise, but the picture of a man Eddy Peng makes it real. Drink Yili Oat Milk and look like Eddy Peng. The word ‘snack’ in my translation of the final term refers to the Chinese concept of lingshi. It literally means ‘fragmentary food’, food that you can eat any time between meals. When you look at the scope of what is regarded as lingshi by Chinese it seems to be basically identical to xiuxian shipin ‘leisure food’, about which I have devoted an entire post in this blog. Lingshi then seems to be a more colloquial term, while xiuxian shipin is used in a more commercial context. Why it is called ideal seems obvious: as you are snacking anyway, you might as well do it on healthy food. However, I wonder if people would be willing to pack a relatively heavy carton of beverage instead of that pack of melon seeds, preserved plums or other traditional snacks. Regardless whether Yili’s Oat Milk will be a success or a failure, its ad already is making history. Fresh milk, water, crystal sugar, oat grains, oat meal, Vit. A, Vit. D3, iron (fe edta), zinc, food additives (microcrystalline cellulose, CMC, gellan gum, carrageenan, monoglyceride,sucrose ester, sodium bicarbonate), food flavour. So it is not completely natural, but we would not have expected it to be to begin with. In the course of 2018, Yili has launched another oat milk, this time flavoured with coconut, marketed under the Guliduo (‘Lots of Cereals’) brand. It is said be made of Vietnamese coconut, carefully selected milk and Australian oat. 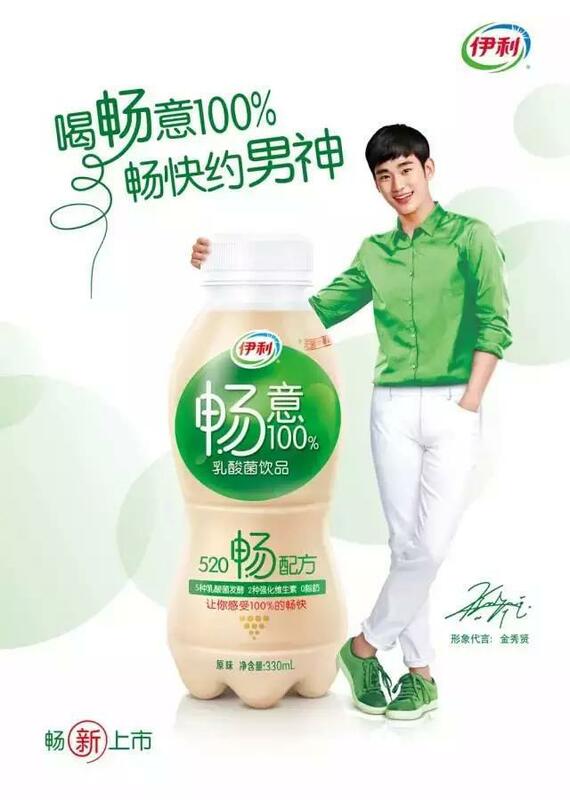 Yili has hired the services of another Tainwanese star, Jack Chou, to advertise for one of its yoghurt ranges: You Yoghurt (you means ‘best’). Jack Chou is shown sitting in a director’s chair, shouting ‘I want You’. The scene is derived from the TV program Voice of China. Note that the makers of this ad assume that the intended audience have a command of English sound enough to recognise the pun. The deeper reference to the old American military posters telling young American men that ‘Uncle Sam wants you’ will escape the attention of most of them, though. The text reads: ‘I have a seven-year appointment with the Olympic Games‘. And again we see the emerging individualism in this frame. 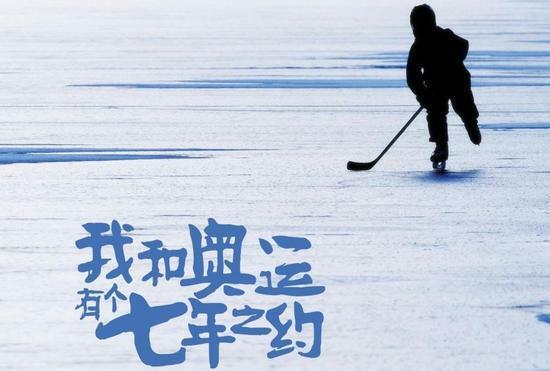 The lonely icehockey player, instead of a team and the use of ‘I’ instead of ‘we’. It is fascinating to see how a traditional state owned enterprise is able to reinvent itself to fit into the 21st Century. According to the Rabobank survey, Yili now ranks among the world’s 20 largest dairy companies. Mengniu, China’s second largest dairy company, has recently launched one of China’s first yoghurt icecreams, marketed under the Dilan brand. The company started the promotion campaign with handing out samples for free to white collar workers in Beijing’s major commercial buildings. Dilan’s ads also indicate that the product is geared to that market segment: the individualist young professionals focused on their careers. Yet another product of Yili is a lactic acid beverage branded Changyi that is marketed as being beneficial to the ‘male spirit’ (nanshen). 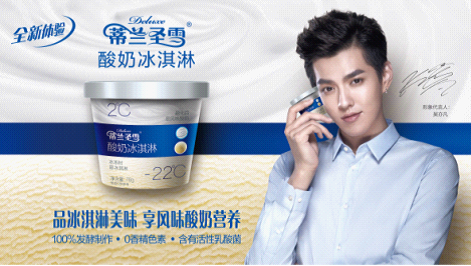 Most of Yili’s new ads introduced above use male bodies as icons for position various dairy products. This product takes this trend one step further by directly referring to the male spirit. However, the ingredients are exactly the same; no gender-related formulation. Specialists in national culture all agree that Chinese culture is collectivist, placing the group’s interests above that of the individual. 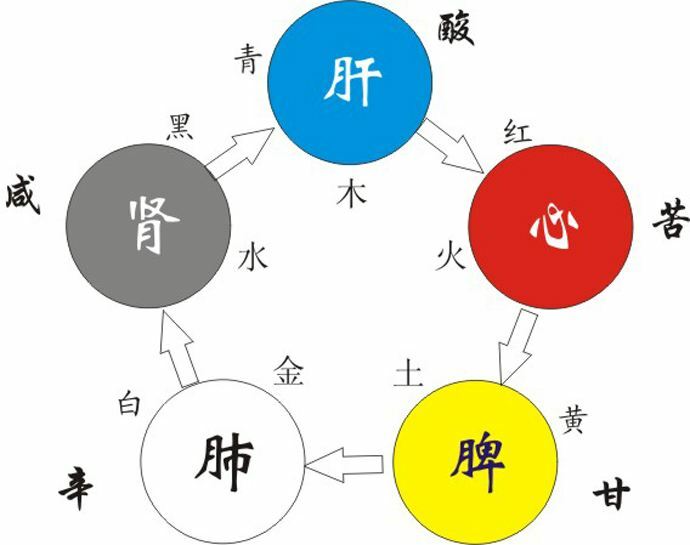 This trait of Chinese culture has left a huge mark on the Chinese practice of eating and drinking, in which sharing is a key concept. A Chinese meal is typically eaten around a round table with all dishes placed in the middle, for all participants to share. An now, in 2016, Yili launches this ad. 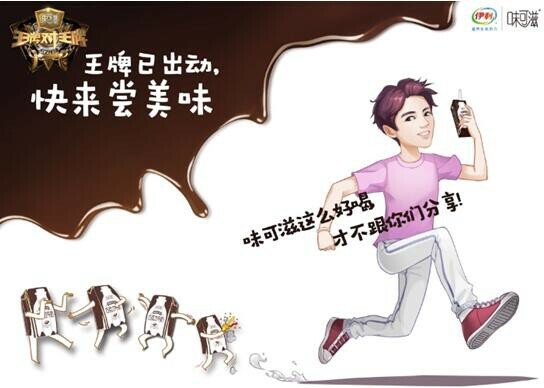 The ad is for Weikezi Chocolate Milk and the boy is saying: ‘Weikezi is delicious, no way I’m going to share it with you’. That statement sounds outrageously un-Chinese. So, is this a sign that young Chinese are becoming more individualist, or is this ad perhaps meant to provoke? I am sure it will make more than few Chinese eyebrows rise. Hot pot is a hot item in China. Nothing beats a group of people around a table throwing chunks of meat, vegetables, bean curd, mushrooms, or virtually any other fresh ingredient in a pot with boiling water and fishing them up when they are cooked. Hot pot is the ultimate communitarian food for a communitarian nation like the Chinese. Even a European fondue is hard to imagine to enjoy on your own, right? Well, be prepared to see this fact shattered by exactly those extremely communitarian Chinese. The past year has witnessed the launching of a number of one-person instant hot pots. On the outside they look like a big instant noodle cups. Inside you will find a variety of ingredients, like the classic hot pot. Just heat it in the microwave, open it, and enjoy . . . on your own. Some brands are even packed in self-heating packagings. Squeezing the pack will create a chemical reaction that will heat up your hot pot, so you even lose the microwave. I have collated pictures of a couple of the instant hot pots currently on the market. How does it taste? Probably like most instant foods. Is it fun? Not more than eating instant noodles, or instant congee, certainly not as fun as enjoying hot pot with a group of friends or your relatives.